You can say that Gavin Jones is synonymous with Rock-n-Roll. I am no stranger to music and have been watching and playing in bands for over 25 years and I’m here to tell you that Gavin is the real deal, as can be seen in the list of musicians in which he has played. Gavin’s Bands have been on Tour Packages with The English Beat, The Specials, Berlin, Real Life, The Stray Cat Lee Rocker and opened Local Shows for Cinderella’s Tom Keifer, Eric Gales, Fishbone, Real Life, Y&T, L.A. Guns, Robert Gordon, Missing Persons, The Paladins, Freddy Fender, Gilby Clarke of Guns N Roses, Ratt, UFO, Bonham, Michael Schenker to name a few. 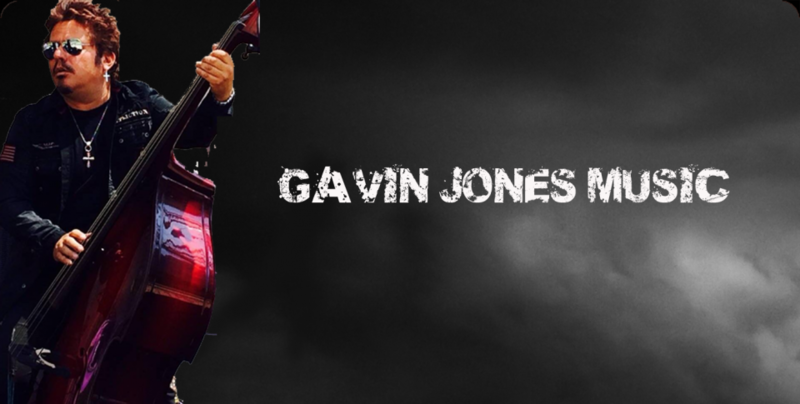 When on stage, Gavin may be backing someone else with his Bass Guitar and Upright Bass Talents, but Gavin is a front man in and of himself; Gavin Jones IS Rock-n-Roll.